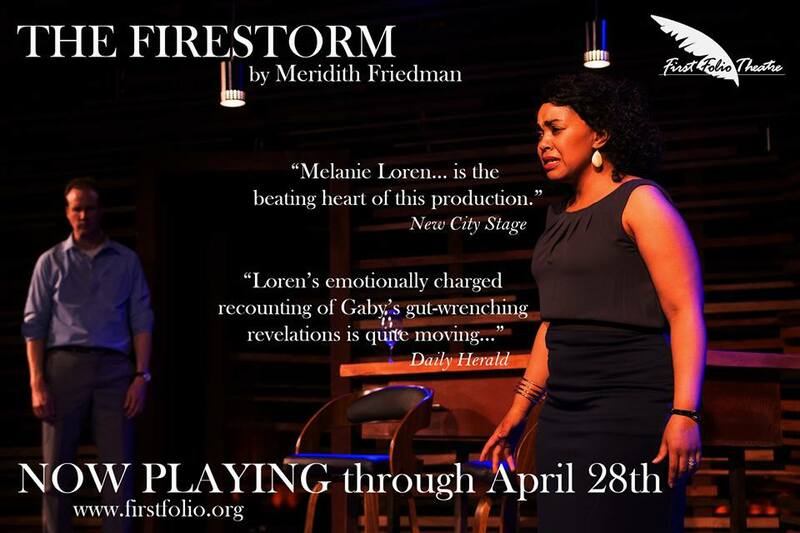 Featuring an all-female cast of some of the most dynamic Latinx actors in Chicago! I'll be out for the press opening Dec 21st, so check back soon for my full review. 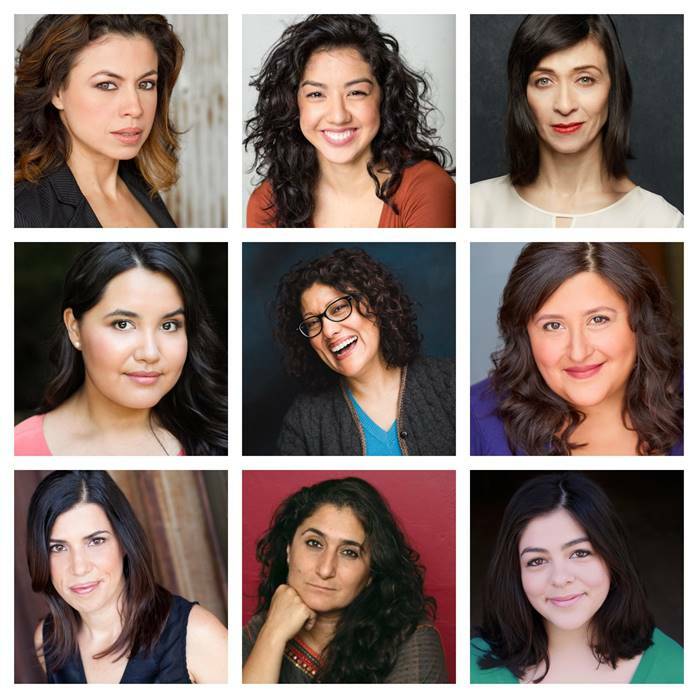 Cast includes: Ensemble member Karen Rodriguez (Ivonne) with Charin Alvarez (Marisela); Cher Alvarez (Brenda); Laura Crotte (Desamaya); Sandra Delgado (Yoli); Mari Marroquin (Zaide); and Alice da Cunha and Isabella Gerasole (Women of Juarez). I AM ANGRY. I AM HEARTBROKEN. BUT THE HEART OF A WOMAN BEATS FURIOUSLY IN A MILLION DIRECTIONS AT ONCE, EVEN WHEN IT’S SHATTERED INTO A MILLION PIECES. To the U.S.-owned factories in Ciudad Juárez, Mexico, La Ruta is just a bus. But to the women who live, work and often disappear along the route, it's so much more than that. Inspired by real testimonies, and using live music to evoke factory work and protest marches, La Ruta is a visceral unearthing of secrets buried in the desert and a celebration of the Mexican women who stand resiliently in the wake of loss. Isaac Gomez is an award-winning Chicago-based playwright, originally from El Paso, Texas/Ciudad Juárez, Mexico. 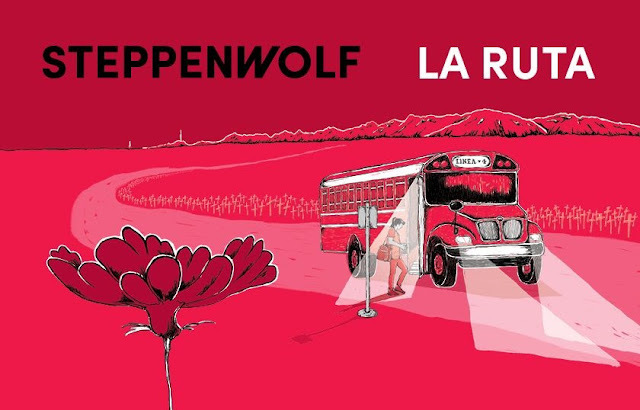 An important work from a powerful young voice, we are proud to feature the world premiere of Isaac Gomez’s La Ruta with Sandra Marquez in her Steppenwolf directing debut and an all-female cast of Chicago’s most dynamic Latinx artists. Get a group together and save. For a limited time, groups of 6+ can get a discount on tickets to Familiar and LaRuta. Enter code 44393, get $10 off each ticket—the more the merrier. This December, Steppenwolf Theatre Company is proud to present the world premiere production of La Ruta by acclaimed Chicago playwright Isaac Gomez, directed by ensemble member Sandra Marquez. 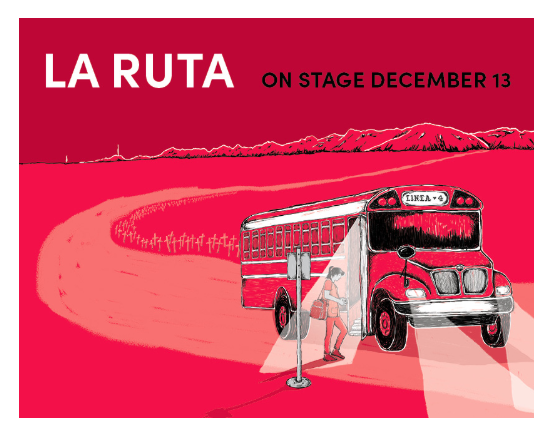 Featuring ensemble member Karen Rodriguez along with an eight-member all female Latinx cast, La Ruta is inspired by the lives of Mexican women who live, work—and disappear—along a Ciudad Juárez bus route. La Ruta weaves live music through a story of resilience in the wake of loss. La Ruta begins previews December 13, 2018 and the production runs through January 27, 2019 in the Upstairs Theatre (1650 N Halsted St). 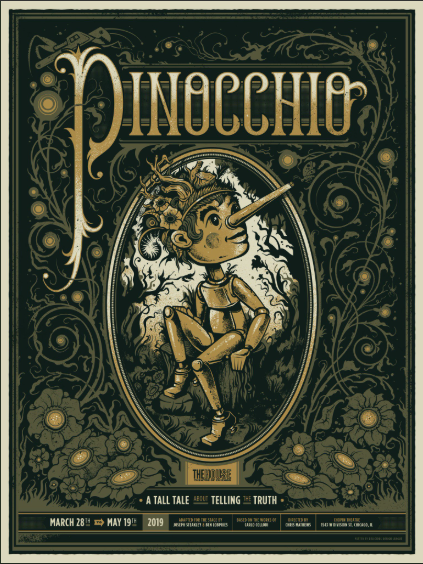 Press performances are Thursday, December 20, 2018 at 7pm and Friday, December 21 at 7:30pm; opening night is Thursday, December 20. Single tickets ($20-$89) go on sale this Friday, October 19 at 11am through Audience Services at 312-335-1650 or steppenwolf.org. Connected to the main lobby is Steppenwolf’s own Front Bar: Coffee and Drinks, offering a warm, creative space to grab a drink, have a bite, or meet up with friends and collaborators, day or night. Open Tuesdays – Sundays from 8am to midnight, Front Bar serves artisanal coffee and espresso is provided by La Colombe and food prepared by Goddess and Grocer. The menu focuses on fresh, accessible fare, featuring grab-and-go salads and sandwiches for lunch and adding shareable small plates and desserts for evening and post show service. front-bar.com. Steppenwolf Theatre Company is the nation’s premier ensemble theater. Formed by a collective of actors in 1976, the ensemble represents a remarkable cross-section of actors, directors and playwrights. Thrilling and powerful productions from Balm in Gilead to August: Osage County and Pass Over—and accolades that include the National Medal of Arts and 12 Tony Awards—have made the theater legendary. Steppenwolf produces hundreds of performances and events annually in its three spaces: the 515-seat Downstairs Theatre, the 299-seat Upstairs Theatre and the 80-seat 1700 Theatre. Artistic programing includes a seven- play season; a two-play Steppenwolf for Young Adults season; Visiting Company engagements; and LookOut, a multi-genre performances series. Education initiatives include the nationally recognized work of Steppenwolf for Young Adults, which engages 15,000 participants annually from Chicago’s diverse communities; the esteemed School at Steppenwolf; and Professional Leadership Programs for arts administration training. While firmly grounded in the Chicago community, nearly 40 original Steppenwolf productions have enjoyed success both nationally and internationally, including Broadway, Off-Broadway, London, Sydney, Galway and Dublin. Anna D. Shapiro is the Artistic Director and David Schmitz is the Executive Director. Eric Lefkofsky is Chair of Steppenwolf’s Board of Trustees. Student Discounts: Limited $15 student tickets are available online. (Limit 2 tickets. Must present a valid student ID for each ticket). steppenwolf.org/students. Group Tickets: All groups of 10 or more receive a discounted rate for any performance. Black Card Memberships are for audiences interested in extreme flexibility. Cards include six tickets for use any time, for any production including the LookOut Series. The tickets are valid for one year with the option to add additional tickets as needed. 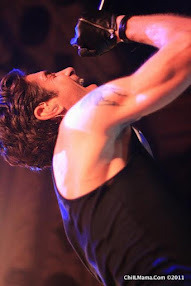 Perks include easy and free exchanges, access to seats before the general public, savings on single ticket prices and bar and restaurant discounts for pre- and post-show socializing. Red Card Memberships are available for theatergoers under 30.